If you're looking for a straightforward way to earn cash back on your business spending with no tiered systems to worry about or hoops to jump through, the Capital One® Spark® Cash for Business credit card is a great card to consider. From stocking up on office supplies, to paying employee phone bills, to booking airline tickets, the Capital One® Spark® Cash for Business credit card will earn you an unlimited 2 percent cash back on every purchase you make. Every $1 spent with this card puts money back in your pocket. But just to start you off on the right foot, Capital One allows the opportunity to earn a one-time $500 cash bonus when you spend $4,500 in the first three months. Earn a one-time $500 cash bonus when you spend $4,500 in the first three months of opening your account. When it comes to the annual fee, it's a $0 intro for first year; $95 after that. High earn rate and a one-time $500 cash bonus when you spend $4,500 in the first three months of opening your account. Straightforward rewards program with no sign-ups, caps, rotating categories, or expiration dates for the life of the account. Add employee cards for free and reap the rewards from their purchases. Those that spend less than $1,000 monthly may be better off with a card without an annual fee. The Capital One® Spark® Cash for Business credit card is an ideal choice for business owners who don't spend too much money in one particular category. Depending on your spending habits, it is possible that you could earn more cash back by using a credit card that earns a higher rate in select categories; but the thing to keep in mind there is that, with these cards, usually all purchases made outside of these categories only earn 1 percent cash back. Furthermore, there's often a cap in the category spending – once you reach the spending cap, you'll earn 1 percent back on those purchases. With the Capital One® Spark® Cash for Business credit card, you'll get double that baseline 1 percent, on every purchase made regardless of category and without a spending cap. We like that this card keeps things simple and offers its users an easy way to earn cash back at a good rate, no matter the purchase. You'll earn 2 percent cash back on every $1 you spend; it's as simple as that. It's an easy system for busy business owners who really don't need one more thing to worry about such as which credit card is best to use for which purchase. 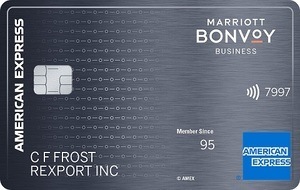 Another thing that we like about this card is that there's no fee to add employee cards. When your employees use their cards to make business purchases, you'll benefit from every $1 they spend. While the Capital One® Spark® Cash for Business credit card is great for those looking for a simple and flexible rewards credit card, it might not be the best option for those who truly spend a lot in specific categories. If you only plan to use your business credit card for internet, phone, and cable services, or for travel purchases, for example, you might fare better with a card that offers a high percentage rewards rate in those specific categories instead. There's also the annual fee to think about. Though it's waived for the first year of card membership, those looking to avoid annual fees might want to consider another option, such as the no-annual-fee Capital One® Spark® Cash Select for Business credit card, compared below. Though it offers many of the same great benefits as the Capital One® Spark® Cash for Business credit card such as free employee cards, no foreign transaction fees, and quarterly and year-end summaries, the no-annual-fee version of the card–the "select" version–Capital One® Spark® Cash Select for Business, trades in the annual fee for a lower rewards earning rate, as well as a smaller welcome bonus. New Capital One® Spark® Cash Select for Business cardholders will earn $200 instead of $500 as a welcome bonus (though you only need to spend $3,000 within the first three months of account opening versus $4,500 to receive the reward), and will earn an unlimited 1.5 percent cash back on all purchases, instead of 2 percent. If you spend $10,000 a month with your card and earn 2 percent cash back on your purchases, you're looking at $2,400 back each year. If you spend $10,000 a month and earn 1.5 percent cash back, you'll only earn $1,800. That's a $600 difference in earnings (not including the one-time welcome bonus) which is well above the annual fee for the regular card. At first glance, the no-annual-fee Capital One® Spark® Cash Select for Business might seem like the better deal, especially for those looking for a no-annual-fee credit card; however, take a moment to look at your business's typical monthly spend to see whether what you earn at 2 percent back could more than offset the annual fee. If it can, the Capital One® Spark® Cash for Business could be more lucrative for you. Additionally, one other important to thing to point out about the Capital One® Spark® Cash Select for Business credit card is that it offers 0 percent introductory APR on purchases for the first nine months the account is open (then, 15.24% - 23.24% (Variable)). Unlike the Capital One® Spark® Cash for Business credit card, which earns users a consistent 2 percent cash back on all purchases no matter the category, the Ink Business Preferred℠ Credit Card earns cardholders points for purchases made in specific categories. With this Chase credit card, users will earn three Ultimate Rewards® points per $1 spent on travel; shipping; internet, cable and phone purchases; and certain advertising purchases, up to $150,000 annually. After spending $150,000 in a year, and for all purchases made outside of these categories, cardholders will earn an unlimited one point per $1 spent. 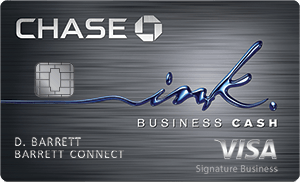 Another notable thing about the Ink Business Preferred℠ Credit Card is the large welcome bonus. Chase offers 80,000 bonus points to new cardholders who spend $5,000 on purchases in the first three months of account membership, which is equal to $1,000 when redeeming points for travel through Chase Ultimate Rewards® (points are worth 25 percent more when you redeem for airfare, hotels, car rentals and cruises through Chase Ultimate Rewards®), or $800 if redeemed for cash back. Both cards have a $95 annual fee (though with Chase, this fee is not waived the first year) and both offer free employee cards. When deciding between these two cards, you'll need to consider your spending habits. The welcome bonus with the Chase card may be higher after the Capital One® Spark® Cash for Business's limited time offer is done, as well as the rewards rate percentage; but if you're not frequently making purchases within the select categories that offer this higher rate, it might not really matter. On the other hand, if most of your purchases fall within these categories, the Chase card could be a good option for you, despite the annual fee. One last thing to think about, if you pay your cellular phone bill with your Ink Business Preferred℠ Credit Card, you'll be covered with cell phone insurance for the primary phone on the account as well as employee phones on the same account (subject to a deductible and other limitations). With the SimplyCash® Plus Business Credit Card from American Express, users will earn 5 percent cash back at U.S. office supply stores and on wireless telephone services purchased directly from U.S. service providers and 3 percent cash back on purchases made within one of the following categories: airfare purchased directly from airlines; hotel rooms purchased directly from hotels; car rentals purchased from select car rental companies; purchases at U.S. gas stations; purchases at U.S. restaurants; U.S. purchases for advertising in select media; U.S. shipping purchases; or U.S. computer hardware, software and cloud computing purchases made directly from select providers. The 5 percent and 3 percent cash-back earnings apply to the first $50,000 in combined purchases in each category per calendar year, and then users will earn 1 percent on every purchase after that (as well as on all purchases made outside of these categories). Furthermore, while there isn't a traditional welcome bonus right now with the SimplyCash® Plus Business Credit Card from American Express, new cardholders can take advantage of 15 months no interest on purchases (then, 14.49% - 21.49% Variable). That 15 months could be seriously beneficial to a new business owner with some initial startup costs or if you're just looking to take your business to the next level with a big purchases or two but would appreciate some extra time to pay it off interest-free. Again, when deciding which card is right for you, it all boils down to your spending habits. If most of your spending is done at office supply stores or on telephone services, you can benefit greatly from that 5 percent earnings rate, and the freedom to choose a second category where you'll earn 3 percent cash back is a huge bonus as well. However, it's important to keep in mind that the high rewards percentage rates are capped annually at $50,000. After that, you'll only earn 1 percent on all purchases, unlike with the Capital One® Spark® Cash for Business credit card, which earns an unlimited 2 percent on every purchase made, with no spending caps to worry about. Say you spend $150,000 annually with your Capital One® Spark® Cash for Business card. With a 2 percent cash back rewards rate, you're looking at $3,000 cash back a year (not including the welcome bonus). Now, let's say you spend $25,000 a year on office supply store purchases and telephone services, $25,000 annually on advertising purchases, and $100,000 on everything else with the SimplyCash® Plus Business Credit Card from American Express. With a 5 percent, 3 percent and 1 percent earnings rate, you're also looking at $3,000 cash back each year. Say however you spend $50,000 annually on office supply purchases and $100,000 on everything else. In that case, you could earn as much as $3,500 cash back with this American Express card. As you can see by the numbers, considering your spending habits really can make a difference. If you're able to think ahead and plan your expenses for the year, you might really benefit from a category rewards card like the SimplyCash® Plus Business Credit Card from American Express. However, if you really don't know what to expect year to year for your business purchases, you might fare better with something that gains you a consistent rewards rate across the board. Remember, too, that the SimplyCash® Plus Business Credit Card from American Express doesn't charge an annual fee. One last thing to consider is that this American Express credit card charges a 2.7 percent foreign transaction fee on each foreign transaction made. With that said, it might not be the most practical option for businesses with employees who travel outside of the U.S. The Capital One® Spark® Cash for Business credit card is a practical choice for business owners who don't spend too much money in one particular category, or who are looking for a straightforward way to earn cash back with no tiered systems to worry about or hoops to jump through. It's also a decent choice for business owners who travel internationally from time to time, or whose employees do, as there are no foreign transaction fees associated with the card, and there are a number of travel and emergency assistance services available to cardholders. 2x points on all other eligible purchases. Earn 5% cash back on the first $25,000 spent in combined purchases at office supply stores and on cellular phone, landline, internet and cable TV services each account anniversary year. Earn 2% cash back on the first $25,000 spent in combined purchases at gas stations and restaurants each account anniversary year. Unlimited 1% cash back on all other card purchases with no limit to the amount you can earn.